It'd be fun to build a class around this. We could also take apart old phones and repurpose them. David Mellis, one of the minds behind the Arduino platform, has released the blueprints to a cellphone that, with time and patience, anyone can build. Mellis used the readily available Arduino GSM Shield, which lets Arduino-based machines access the web over cellular networks, as the basis for his project, but greatly expanded upon the component's hardware and software, adding support for a display, buttons, speaker, microphone, and a full interface. 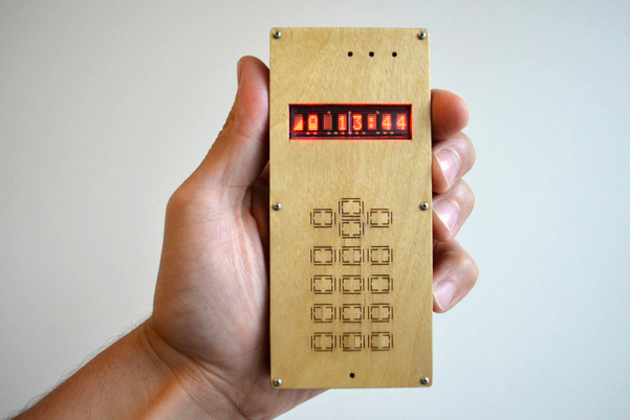 The result is a basic cellphone that can make and receive calls, text messages, store names and numbers, and display the time.